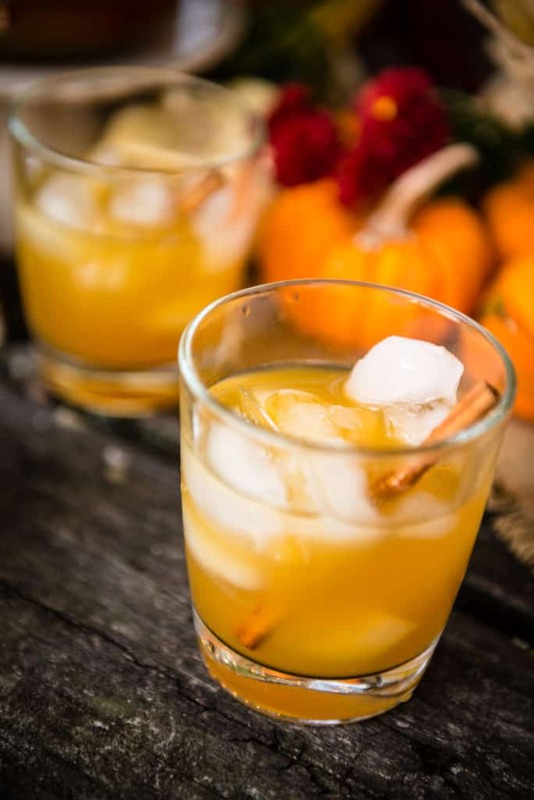 Want a classic drink for the upcoming holiday entertaining? This Autumn Harvest Sangria can be made in a big batch a day ahead of time and is a perfect balance of sweet flavors. True story, I have been obsessing over sangria this year. Something about the blend of sweet fruits and crisp liquors makes for a balanced glass that feels less strict than a glass of wine. Simply put, it’s more fun. Next to the signature house cocktail, if a sangria is on the menu while I am out enjoying myself (responsibly) chances are I am going to try it (unless mezcal is an option, then I am all in for that). Bonus, it’s so easy to make a flavor filled sangria at home. I love greeting guests at the door, but don’t want to spend all night mixing cocktails. Having a signature drink ready and waiting allows guests to refill as needed while I get to enjoy the party. Having a group joining me for an impromptu Friendsgiving, I whipped up a meal of carrot soup, pork crown roast, cherry stuffing, au gratin potatoes, roasted brussels and this Autumn Harvest Sangria. Loaded with hard cider, a hint of vanilla whiskey, and brandy before a pile of fresh sliced apples, cinnamon sticks, and cranberries went into the jar to be topped with fresh spiced cider and a bit of white wine. Check out more of my holiday cocktails and some holiday survival party tips too! (Trust me, cocktails are a must… after that, everything get’s easier). With the big family holidays right around the corner, what are your go-to tips and recipes for stress-free celebrations? There is something simple and beautiful about Sangria. Try these out for more ideas. 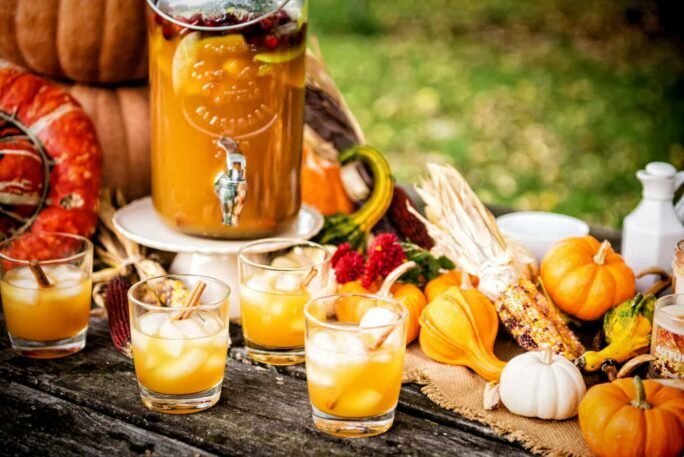 If you’ve tried my Autumn Harvest Sangria recipe or any other recipe on passthesushi.com please don’t forget to rate the recipe and let me know where you found it in the comments below, I love hearing from you! You can also follow along for more good eats and travel tips on Instagram @passthesushi & @girlcarnivore, Twitter & Facebook. 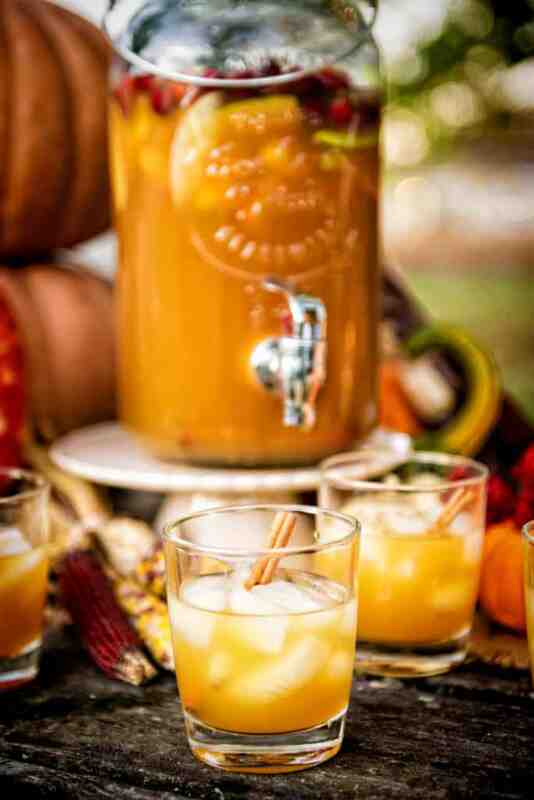 Mix the cider, wine, vanilla, brandy, and cider in a large jug or serving pitcher. Stir gently. Add in the sliced apples, cranberries, and cinnamon sticks. Serve in glasses with over ice with additional cinnamon sticks as garnish, if desired.